Italian food has taken the world by storm. Find out about the most famous Italian dishes that are driving people crazy around the world. Out of all the things that have made it big from Italy nothing compares to the popularity of Italian cuisine. Did you know that Italian food is the most popular cuisine for eating out throughout the world? Over the years Italian food has establish a place that is unparalleled in terms of popularity. It is known for its unique names and extravagant exotic appearance with an equally complimenting delicious taste. The fact that Italian food is extremely healthy due to the use of fresh ingredients has further raised its value. Pizza in particular and a host of other pasta and red meat based dishes are amongst the most popular dishes to surface out of Italy. Amongst the famous Italian foods is Mushroom Pesto Lasagna which is a vegetarian’s dream come true. When made with fresh egg pasta instead of dried lasagna noodles it can be an amazing treat for the taste buds. Top it off with parmesan cheese and you have one of the most famous Italian dishes. The Shrimp Scampi is another Italian dish that has gained word wide acclaim. Though tough to make it sure is an exquisite dish that incorporates the use of butter and garlic. This dish is usually served with crusty bread which allows you to wipe the platter clean. Italy’s Fish Soup with Gremolata has become a world wide hit as well. Within Italy however the soup is prepared in many different ways in different regions. The dish originated on the Adriatic coast and is believed to have been handed down through many generations. The Chicken Scarpariello is a hot favorite amongst chicken lovers. The tangy dish features a golden brown chicken in a lemon sauce that will leave you licking your fingers. Another famous chicken dish is the Chicken Marsala. This is a relatively easy dish to prepare but has an extremely exquisite appearance which makes it ideal for a big occasion as well. The served chicken sits upon a bed of flavored herb rice but can be served with potatoes as well. The most popular food item to rise out of Italy is by far the Spaghetti and Meatballs phenomenon. This is a hot favorite for children and adults alike. It is easy to make and great fun to indulge in while being healthy at the same time. You can make the meat balls from the meat of your choice ranging from beef to chicken and turkey. This dish is served with a special tomato sauce as well. 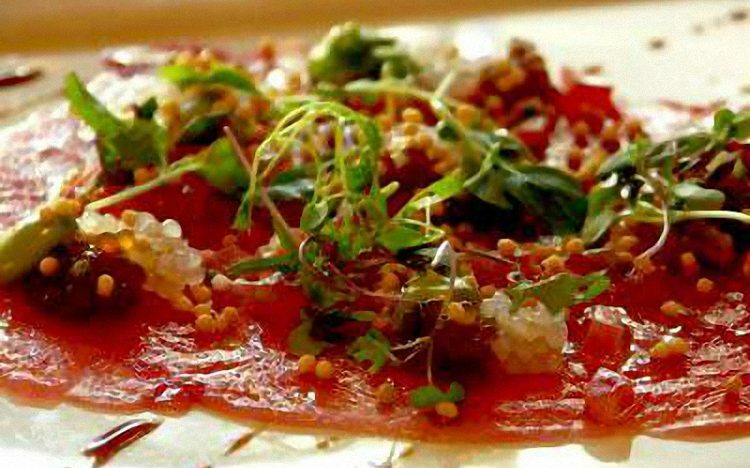 When it comes to beef the Beef Carpaccio seems to be very popular amongst the masses. This dish consisting of rarely cooked slices of beef is more often served as an appetizer to the main course. It is available in a number of variations which use lemon wedges or Arugula leaves. The Zuppa Toscana is also another famous Italian food item that consists of turkey sausages, onions and potatoes. This is one of Italy’s not so healthy recipes but it is popular because of its taste nonetheless. This dish however has room for improvisation and can be tailored to your taste.